3 Bedroom Terraced House For Sale in Sheffield for Guide Price £150,000. 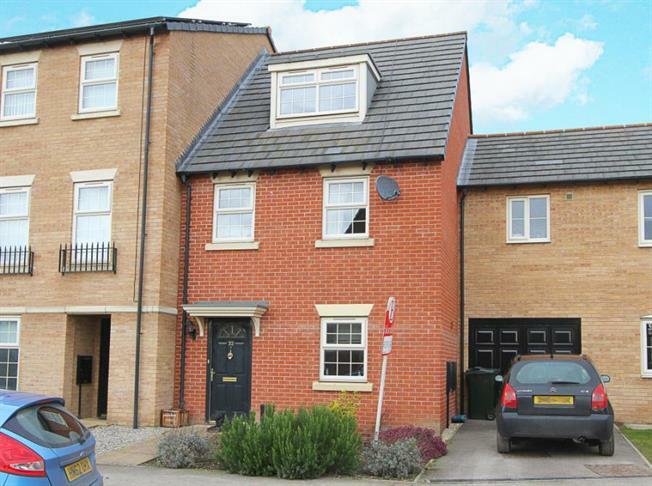 We are proud to offer to the market this superb, deceptively spacious three bedroom townhouse on this sought after development in Kiveton park. well presented throughout there is a detached Garage to the rear and gardens both to the front and rear. In brief the accommodation comprises; To the ground floor the entrance hallway leads to the superb open plan Kitchen, Dining, Living area, Cloakroom/ W.C. The stairs rise to the first floor landing, Two double bedrooms and the family bathroom. The second floor boasts the Master bedroom with En Suite Shower room. To the front of the property is a planted garden area, to the rear is a fully enclosed garden predominantly laid to lawn with patio area. The Garage is located in the courtyard to the rear of the property with parking area. Kiveton Park is a popular suburb of Sheffield also known for its links to Worksop, Ideally placed for Junction 31 of the M1 Motorway networks the area also boasts a local train station. Local Amenities include a busy local shopping area and supermarket, excellent schools and nearby Crystal Peaks shopping centre and Rother Valley Country Park.